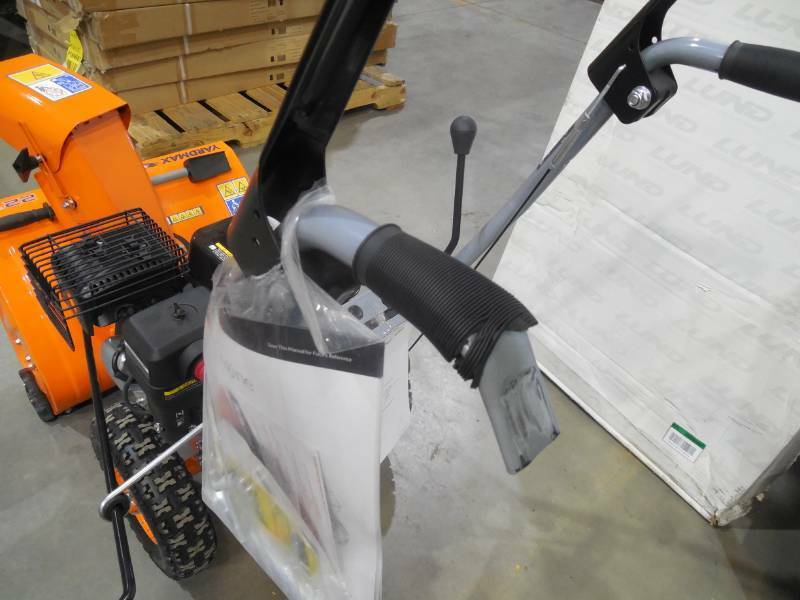 SHOWS NO PRIOR USE - CHOKE LEVER IS BROKE. 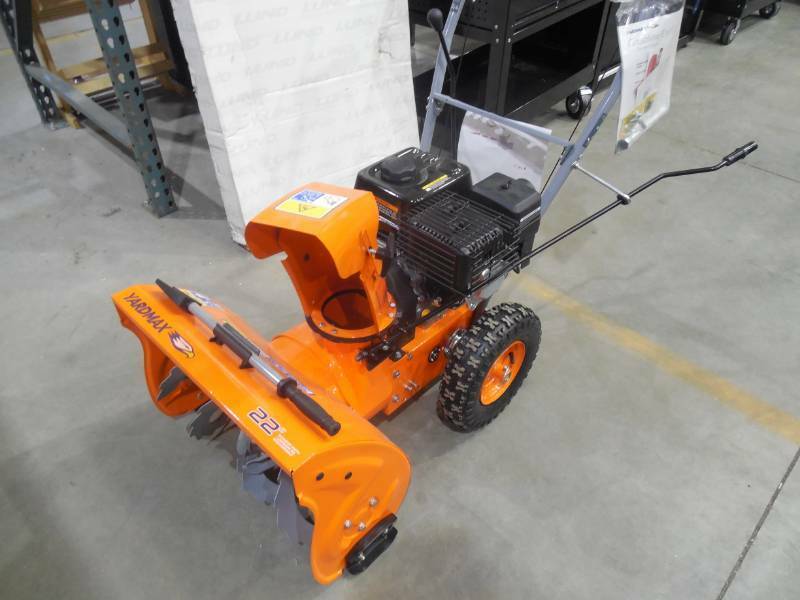 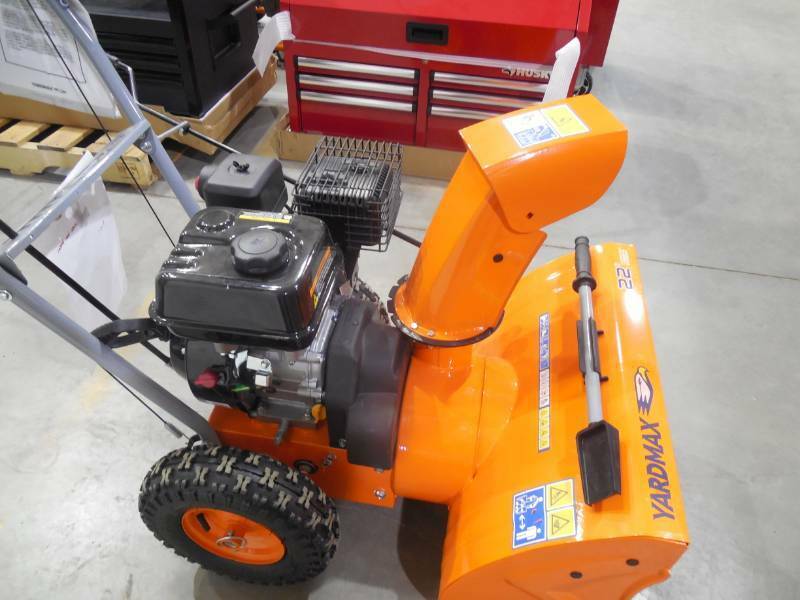 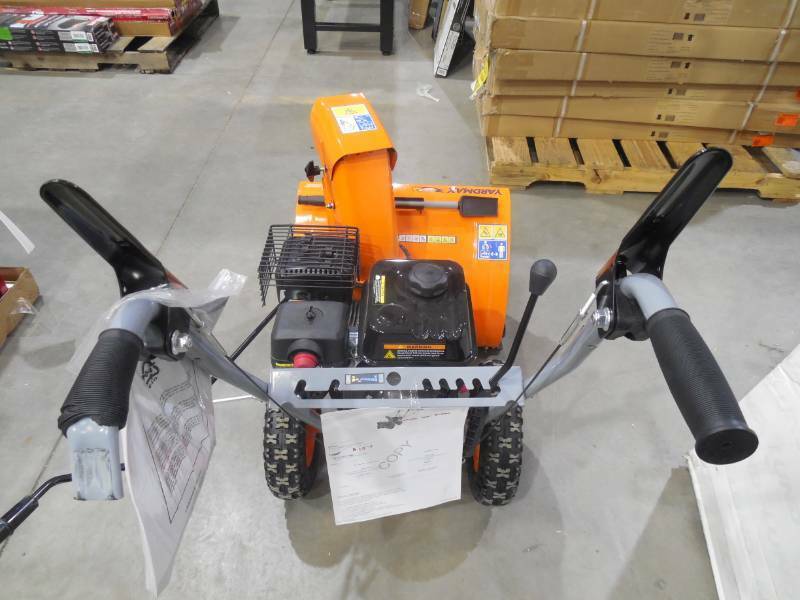 With a 22 snow clearing width, this compact dual stage snow blower delivers power and results. 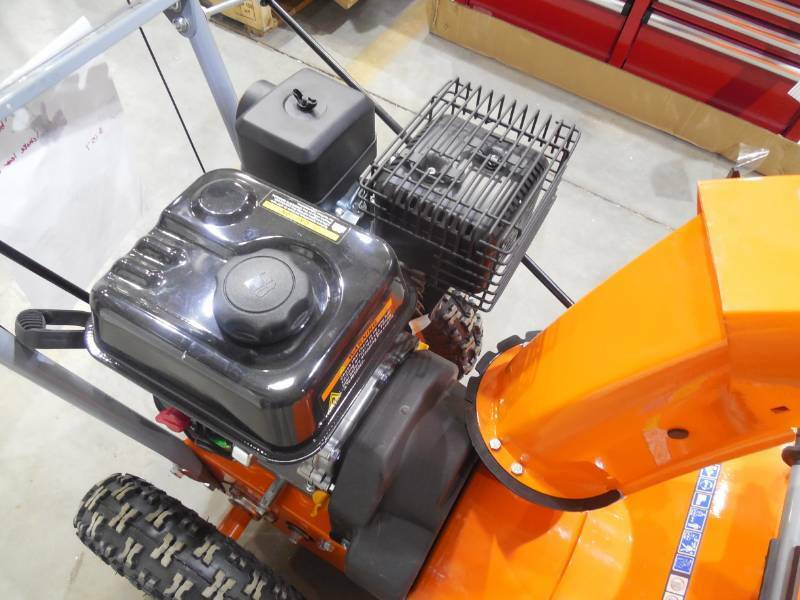 The 22 snow blower option is perfect for the person that wants more power than a single stage but doesn't deal with massive snowfalls on a regular basis. 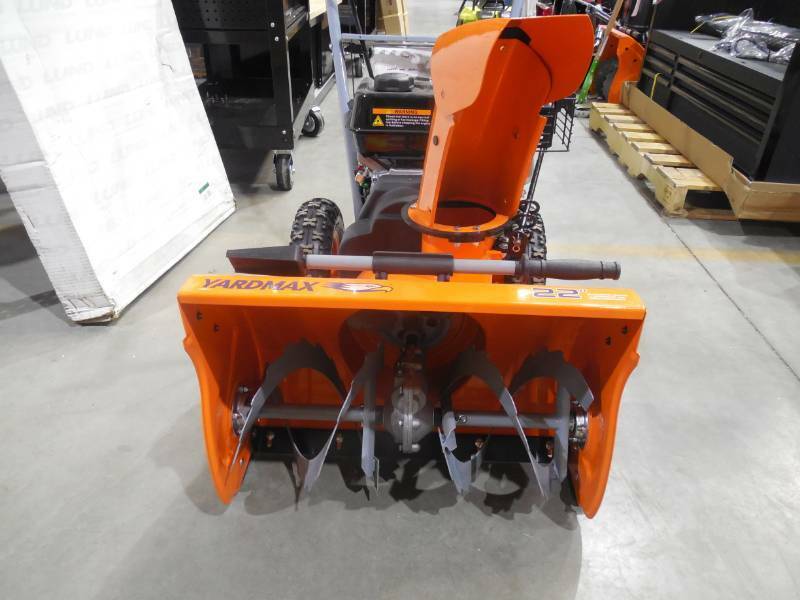 This option provides an easy-to-start engine, multiple speeds, a control crank to easily change snow throwing direction, along with much more.